The Irish authority says those who invest can expect to lose all their money. IRELAND’S CONSUMER WATCHDOG has warned people to stay clear of an online gold market, adding that those who use the exchange will probably lose all their money. The Consumer and Competition Protection Commission (CCPC) issued the notification about a business called EmGoldex that was probably running a pyramid scheme. The site, which is now believed to be trading as Global InterGold, claims to offer people the chance to buy gold bars for a minimal cash outlay. It promised up to 10 times the return on any investments placed in the scheme. Global InterGold’s website said it is a “regulated EU company” running an online shop for buying and selling gold bars from “Swiss regulated suppliers”. “Civilizations may vanish over time and currencies may disappear but gold remains constant in a way that few, if any commodities can compare,” it said. The CCPC said it started investigating EmGoldex after a consumer complaint. The outfit was offering the option to purchase gold at little cost, provided the buyer helped with promotions and recruited other participants in the scheme. During the probe, the consumer watchdog got in contact with the Filipino corporate regulator, which confirmed it believed the company’s activities were a scam. Warnings over the operation date back to at least 2014. While the CCPC said it had interviewed people who were misled by the scheme, it had no enforcement powers because the promoters lived outside Ireland. The commission’s chair, Isolde Goggin, said practices like those employed by EmGoldex “pose significant financial risk to consumers”. “A common characteristic in pyramid schemes is that they are often based on recruiting others and moving money from new joiners to those higher up the pyramid,” she said. 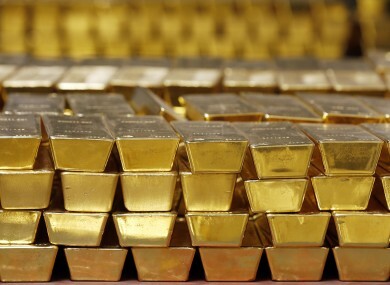 Email “The consumer watchdog is worried this 'online gold market' is really a pyramid scheme”. Feedback on “The consumer watchdog is worried this 'online gold market' is really a pyramid scheme”.